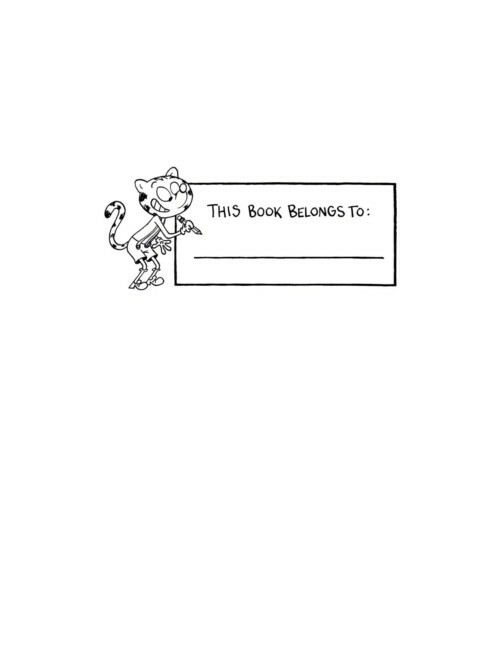 Hardcover, signed Kickstarter edition! 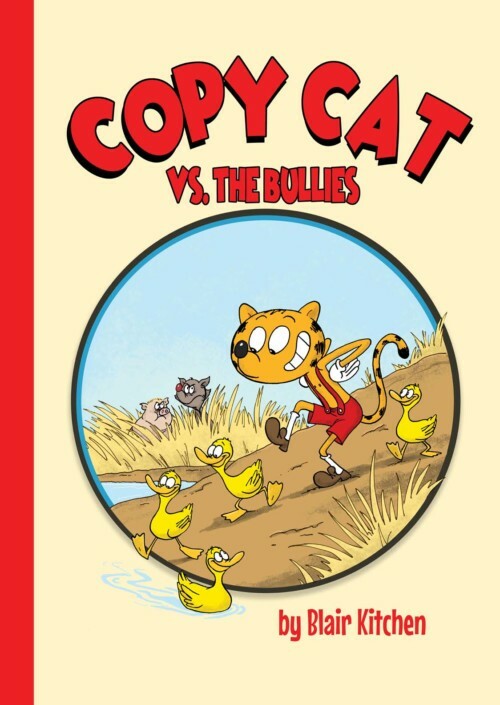 Printed in 2019, this edition of Copy Cat was successfully funded on Kickstarter and is the first Children's book published by Possum Press. Copy never thought for himself. Instead, he always followed the other animals and only did whatever they did. Everything was going fine until Copy met a couple of boys whom he should not be following. Will Copy Cat listen to the feeling in his tummy, or will he continue to follow, even when he knows he shouldn’t? 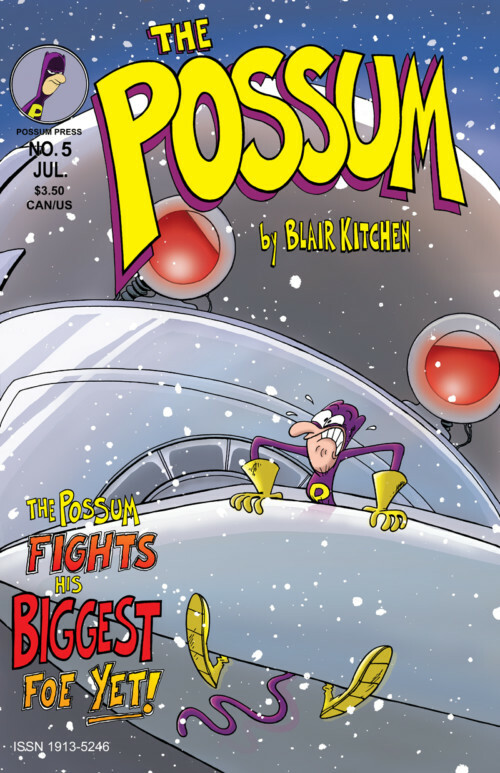 THE POSSUM #1 by BLAIR KITCHEN is a super-hero funny book telling the secret origin of how indy comic artist Stuart Spankly gained the amazing powers of a human possum, thereby transforming himself into the hero known as "The Possum". Given the gift of having no vital signs, Stuart begins his quest to save the local old folks home from an Evil Genius and his son and learn about his new powers, all while dealing with the pressure of being an unemployed teenager with no living expenses. 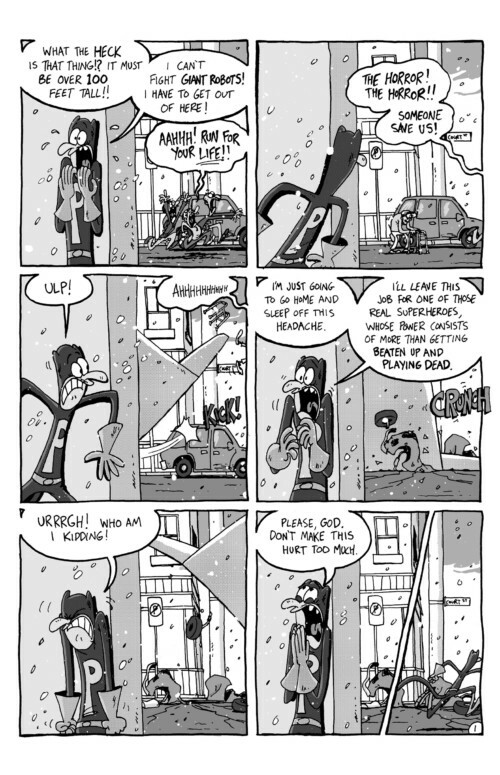 Along for the ride, is a colourul cast of characters, such as Steve Tacola (Stuart's best friend), Greg (the comic shop owner), and Heath (Greg's hired help. 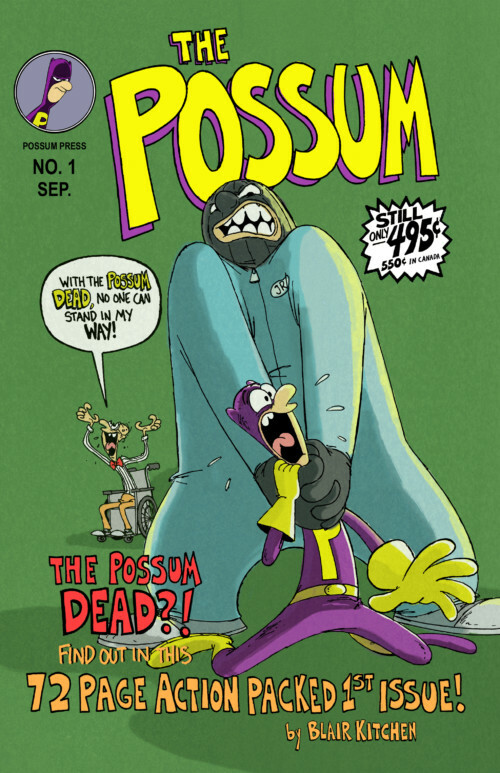 The Possum promises fun and laughs, along with everything else that makes comics and superheroes great. 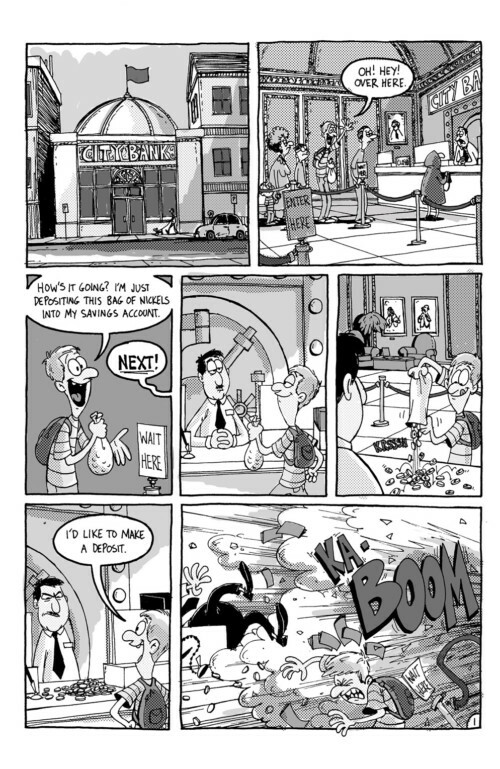 THE POSSUM #2 by BLAIR KITCHEN. In the second issue of the Possum series, Titled Mexican Smackdown, The Possum must face his greatest foes yet, The Seven Deadly Dwarfs! Buckle up amigos, because this issue is one wild ride! 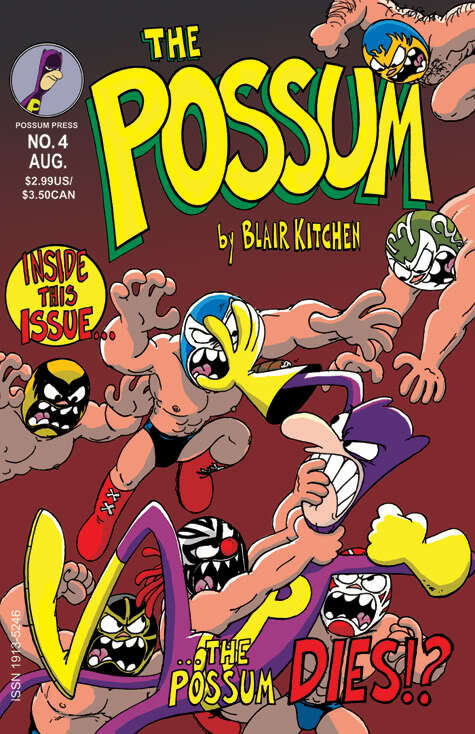 THE POSSUM #3 by BLAIR KITCHEN , is part 2 of a 3 part story arc titled "Mexican Smackdown". Stuart Spankly, A.K.A. 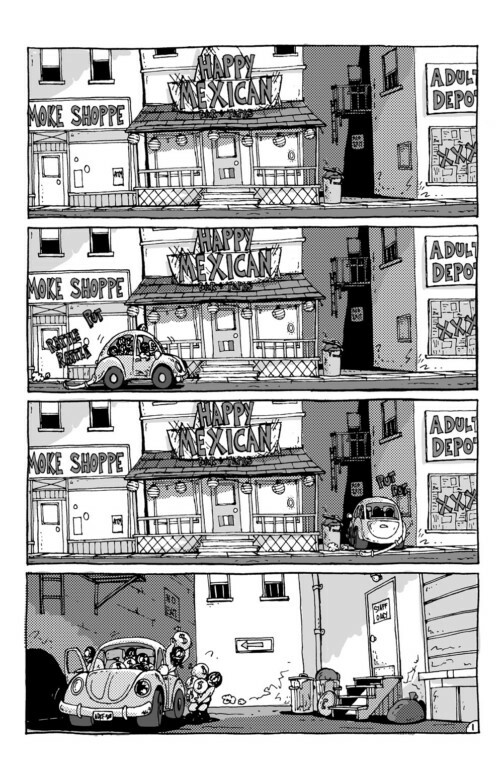 The Possum, goes undercover to infiltrate the Happy Mexican bar, and track down the Seven Deadly Dwarfs. Temptations amount, and the plot thickens! 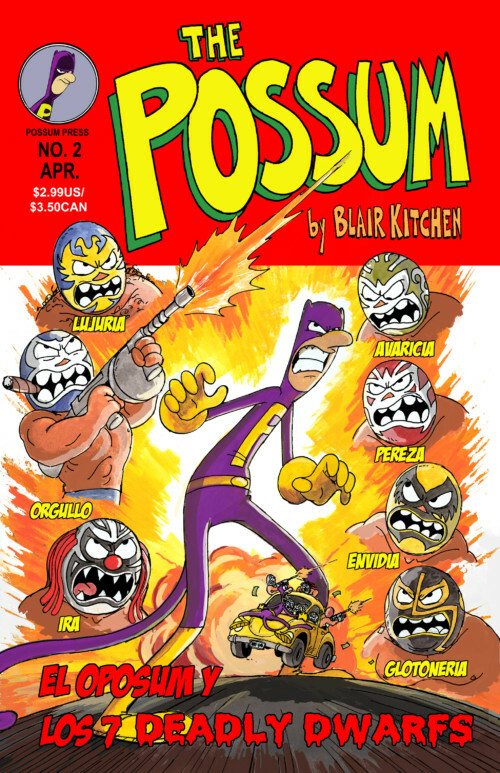 THE POSSUM #4 by BLAIR KITCHEN fourth in the Possum series, The EPIC CONCLUSION to the "Mexican Smackdown" featuring The Seven Deadly Dwarfs! How will it end?! Find out in this issue! 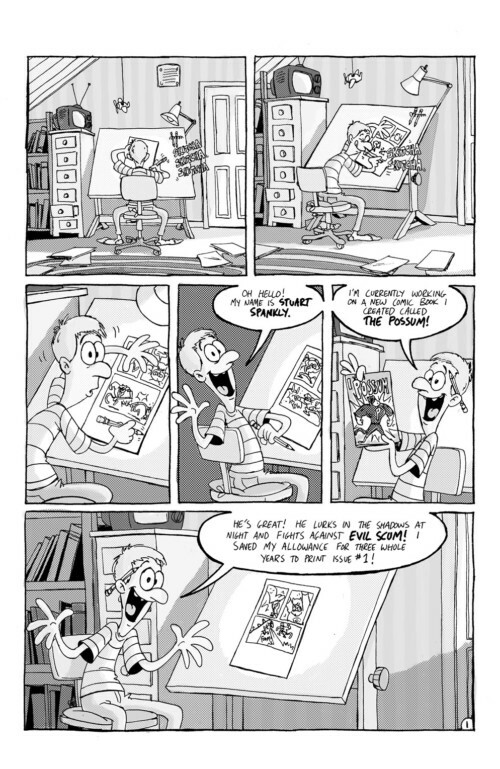 THE POSSUM #5 by BLAIR KITCHEN. 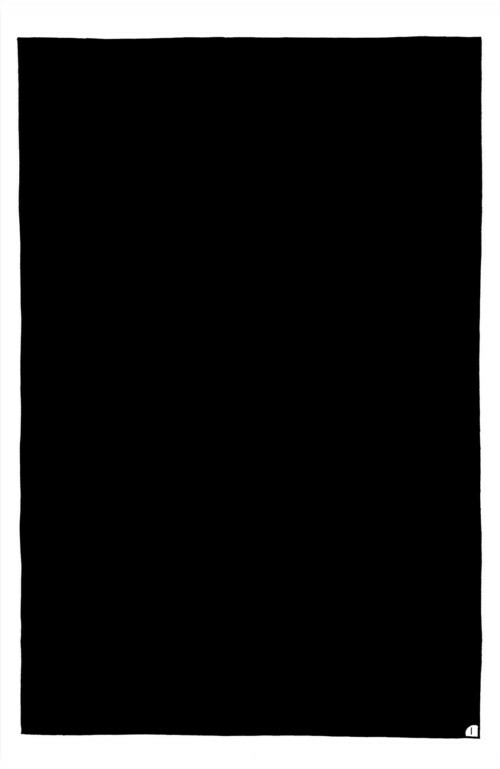 In this issue, The Possum battles his biggest foe yet: The Bathsheeba!, a 60ft giant robot hellbent on destroying the town! Where did it come from!? Who built it!? No one knows......... or do they?